Now, open the disk monitoring command dialog, select the 'Advanced' tab, enable disk change monitoring actions, press the 'Add Action' button and select the 'Save Report to SQL Database' action type. 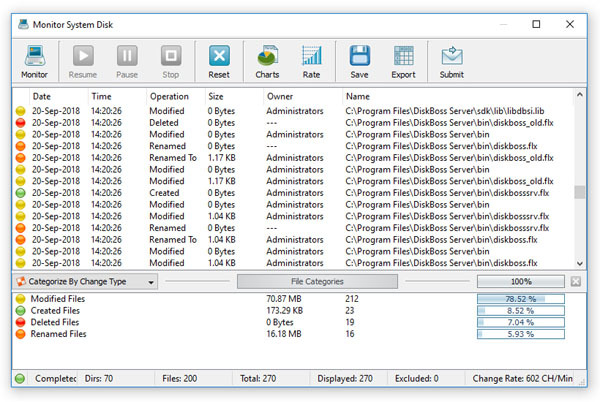 During the disk change monitoring process, DiskPulse server will save every X detected file system changes to the specified SQL database according to the configuration set on the advanced monitoring options dialog. 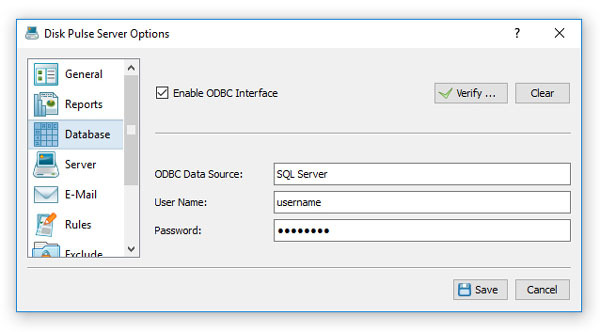 With an enabled and properly configured SQL database, all reports saved in the SQL database will be displayed on the database reports dialog. In order to open the database reports dialog, press the 'Database' button located on the main toolbar. 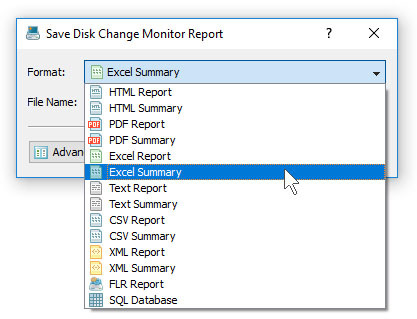 For each disk change monitoring report, the reports page shows the report date and time, the name of the disk change monitoring command generated the report and the number of file system changes saved in each specific report. In order to open a previously saved disk change monitoring report, just click on the report item displayed on the database reports dialog. 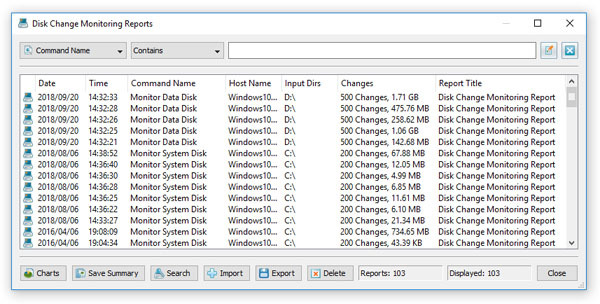 For each detected file system change, the disk change monitoring results dialog shows the date and time of the change, the type of the change operation (created, modified, deleted, etc. ), the size of the file as recorded at the time of the change, the owner of the changed file or directory and the name of the changed file or directory. DiskPulse Server provides the ability to export previously saved disk change monitoring reports to a number of the standard report formats including HTML, text, Excel, CSV, XML, PDF and the DiskPulse native report format. 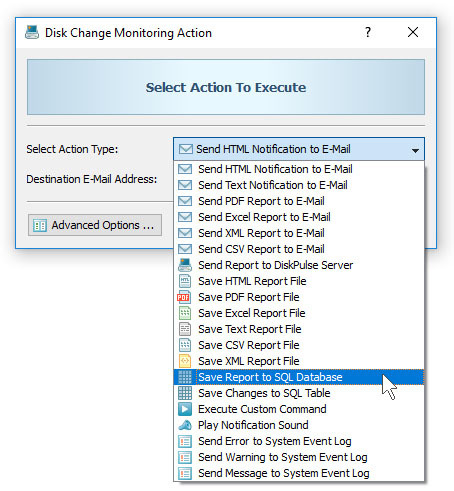 In order to export a previously saved disk change monitoring report, press the 'Save' button located on the monitoring results dialog and select an appropriate report format.